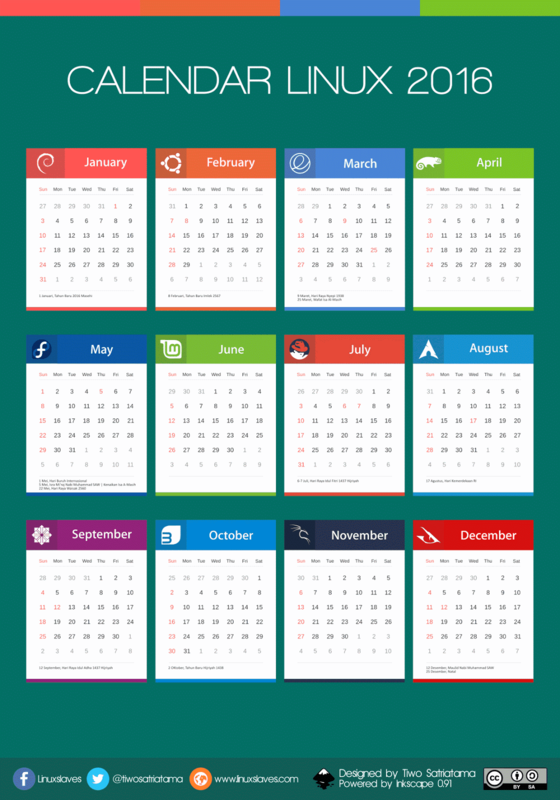 This design is designed to Indonesian calendar, so the things you should change is the day off / holidays that your country have. Do not worry about this, I'll the package included the .svg (editable) file . You just need to open this with Inkscape, then customize with your flavor. You may know all the Linux distros above. But how about the last one? It's DracOs Linux. I'll tell you a little about this new distro. DracOS is open source operating system that built from LFS (Linux From The Scratch). The project begins by Zico Ekel, an Indonesian Pentester and founder of Indonesian Backtrack Team. DracOs runs DWM as default desktop environment ( DE ). For more details you can visit DracOs Linux Official site. Step 1 - First download the package. Step 2 - Once downloaded, now extract it. 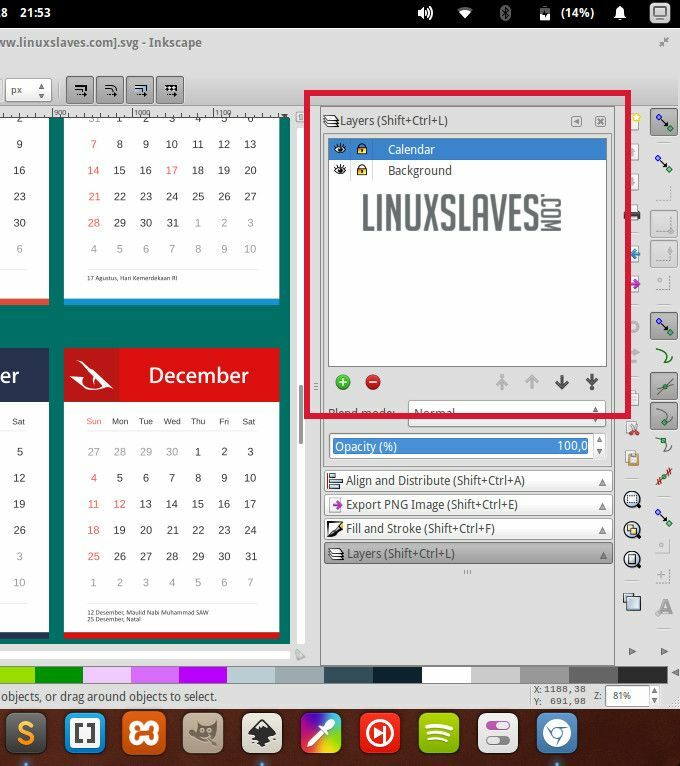 Step 3 - Right click at .svg file ( Calendar Linux Tiwo Satriatama [www.linuxslaves.com].svg ) then choose open with Inkscape Vector Graphics Editor. Or you can open Inkscape for first. Go to File menu -> Open -> Locate the file. Step 4 - Open Layer menu, choose Layer. Or you may open layerbox with shortcut key Shift+Ctrl+L. Please see Inkscape 0.91 Advance Keyboard Shortcuts. Step 5 - Click at Lock icon to unlock Layer. Step 6 - Now go modify yourself. For others design post you can see them at All Linuxslaves Design Menu. So that's all I can write about 2016 Generic printable Linux Distro calendar design template layout that you can recustomize. Hope you've enjoyed reading this tutorial as much I’ve enjoyed writing it and thanks for visiting us.